Few spirits can claim as chequered a history as absinthe. 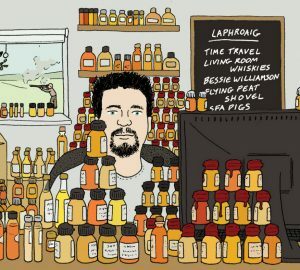 Escaping persecution in Europe, Seamus Harris explains how the green fairy found a spiritual home in New Orleans. Absinthe may be French, but absinthe cocktails are pure New Orleans. The Crescent City, with its large Francophone population, was where the first intoxicating opal waves washed across the Atlantic from France, with the result that America’s Gilded Age became surprisingly sodden in the anise-flavoured import. Unsurprisingly, while French drinkers of the Belle Époque simply embraced la fee verte – “the green fairy”, as absinthe was known – with a sprinkling of chilled water to cool their ardour, American tipplers – even of French extraction – were inclined to be more creative. Most Americans first encountered the medicinal flavours of absinthe in spirit-and-bitters concoctions where it played a supporting role. The Sazerac is the classic example. Over time, as drinks got fancier, palates grew more adventurous, and modernisations in the saloon trade saw ice dispensed with a liberality befitting to the sultry Big Easy, these drinks gave way to the Absinthe Frappe. The Go-Cup Daiquiri of its age, this frosty number was slurped by all levels of NOLA society. It became the drink of the Old Absinthe House on Bourbon Street, perhaps the most famous bar in a city famous for its bars. Celebrities sipped on the famous frappe, and it gained a particular reputation as a morning pick-me-up. As the 20th Century dawned the exotic drink was even celebrated in a hit Broadway song – titled Absinthe Frappe. Absinthe had become almost American. But success proved costly. Early 20th Century America was enacting increasingly petty anti-drug regulations. The Sullivan Ordinance of 1907, which banned women in New York from smoking in public, encapsulates the spirit of the age. Sensing an easy victory, the Anti-Saloon League fixed its cross-hairs on absinthe. In a sort of “dry run” for Prohibition proper, journalists railed against “the green curse of France” and claimed, without any evidence, that it was “recognised as being almost as fatal as cocaine in its blasting effects on the human body”. The government banned absinthe. That the drink was “foreign” and a favourite of “morally loose” cities like New Orleans no doubt helped. 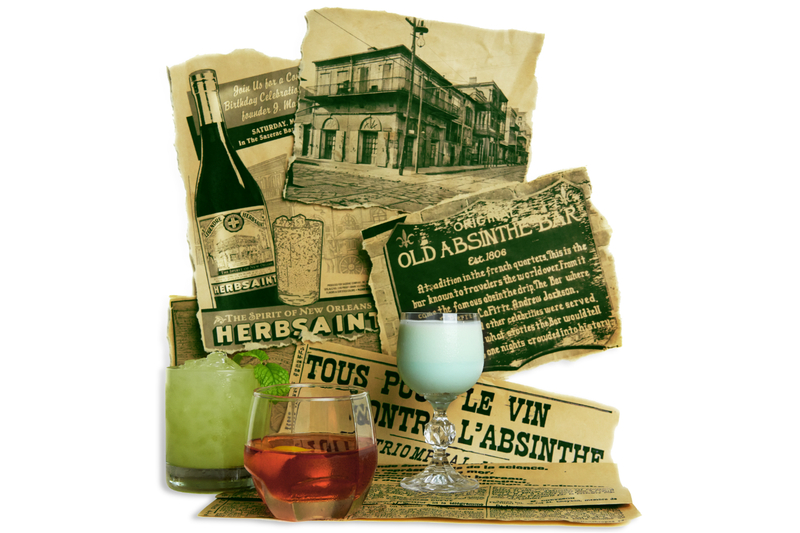 Although New Orleans entrepreneurs developed pastis-style substitutes, Prohibition successfully flushed absinthe from the memories of the American drinking public. The green fairy did not vanish entirely though. 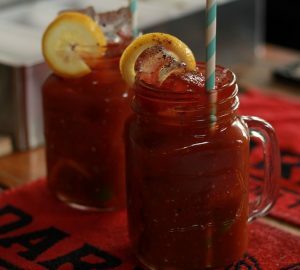 As Ernest Gantt (aka Don the Beachcomber) started the tropical drinks craze, although few of the customers lining up for his trademark Zombies could have told you what absinthe was, la fee verte (or rather substitutes such as Herbsaint and Pernod) was nevertheless flitting around their tiki mugs. It is fitting that Gantt was a New Orleans native, since in no other city did absinthe become so entwined with local culture. Tourists stumbling along Bourbon Street clutching Hand Grenades may be the popular image of New Orleans today, but beneath the surface absinthe remains part of the mainstream of local drinking – could those neon green Hand Grenade canisters even be a secret signal? You can still breakfast with an Absinthe Suissesse, cool off mid-afternoon with an Absinthe Frappe, savour a postprandial Sazerac, and pause en route to soak up the booze with some Oysters Rockefeller – grilled in herb butter with a splash of the fabled anise elixir. Absinthe is even still made in New Orleans, and production has never quite stopped. Local distillers began making absinthe in the late 19th Century, and Herbsaint (now an iconic NOLA brand) was created post-Prohibition as a legal substitute. The slogan for Herbsaint ran: “At the close of the day drink a Herbsaint Frappe”. 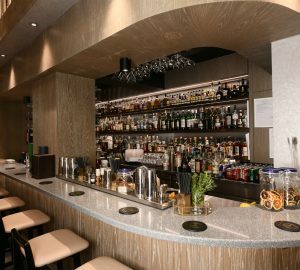 So, if you’ve never make it to Tales of the Cocktail, at least you can visit New Orleans with an absinthe cocktail. Make mine a Sazerac please. 1830 Absinthe first appears in America in 1830s New Orleans. Initially used mostly as a cocktail accent, this cautious approach eventually gives way to an absinthe craze. The Absinthe Frappe leads the charge, with a reputation as both a hangover remedy and an afternoon refresher. 1878 Americans are consuming a respectable 7 million bottles of absinthe annually, a sufficiently respectable enough market for New Orleans distillers Jung and Wulff to produce the green stuff locally from 1883. 1912 Absinthe becomes a whipping boy for prohibitionists. The decision to ban absinthe in 1912 is sparked partly by the mini-absinthe craze that follows the 1904 comic opera It Happened in Nordland. The hit song Absinthe Frappe excites bored youth in small-town America to do the predictable, provoking first indignant outrage, then a mini-prohibition on the import and manufacture of absinthe. Jung and Wulff respond to the absinthe ban by launching Greenopal, America’s first absinthe substitute. 1917 As Prohibition also makes this substitute illegal, they keep the frappes flowing with a range of alcohol-free anise syrups. But a golden era has passed and the Big Easy is never quite the same. 1934 The end of Prohibition sees absinthe stage a quiet return. Jung and Wulff launch yet another absinthe substitute, this time called Milky Way, but lose out to new kid on the block Legendre. JM Legendre, a New Orleans pharmacist, launches Legendre Absinthe in 1934, but objections from the Federal Alcohol Control Administration force him to change the name to Herbsaint – a play on the French pronunciation of absinthe. Despite catchy slogans like “At the close of the day, drink an Herbsaint Frappe” the nation never regains its thirst for anise slushees. 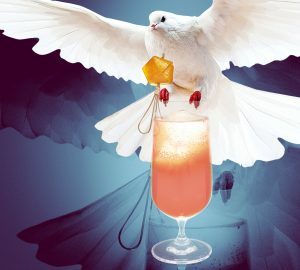 However, the tropical drinks craze that spans several decades from the 1930s sees the restrained use of absinthe to flavour exotic cocktails, and the New Orleans connection persists. Ernest Gantt, inventor of the craze, is a New Orleans native, and Victor Bergeron (aka Trader Vic) dallies in New Orleans en route to the Caribbean to learn about tropical drinks. But while absinthe lives on in New Orleans, its 19th Century glory days are long past. 2000 Absinthe returns from obscurity as various countries repeal century-long bans. France celebrates the millennium with repeal in 2000 and America joins the party in 2007 as the green stuff once again becomes fashionable. Flaming absinthe shots remain popular, but absinthe cocktails get increasing attention. America sees an influx of new brands, particularly around New Orleans. NOLA native Ted Breaux founds Jade Liqueurs and Herbsaint relaunches its original 1934 formula as a special anniversary bottling. 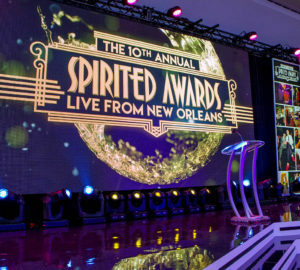 Underscoring its special place in history, New Orleans even becomes home to the Absinthe Museum of America. 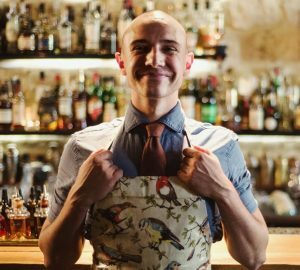 For the first time since the mid-20th Century tiki movement, bartenders experiment with absinthe. Results are promising, and include such winning formulas as the Chrysanthemum – dry vermouth, Benedictine, and absinthe.